Dairy.com deploys its industry-leading solutions as a service, which makes it easy for your business to adopt, lowers initial costs, and puts the burden of maintenance on the service provider. The only criteria for accessing our solutions? You guessed it. You’re using it now. Dairy.com’s exchange, milk solutions, and transportation management solutions are available from anywhere you can access the Internet. There’s no need for you to purchase expensive servers, install software, or back up your critical business data. Dairy.com takes care of all this so you don’t have to. Dairy.com applications are hosted at a SAS70 data center, ensuring the availability, security, and performance of our solution. Because there’s no software to install, you’ll never need to install updates, upgrades, or patches. Dairy.com maintains its solutions; you’ll never need to worry about staying updated or scheduling maintenance downtime. As your business grows, you may find yourself rethinking a software purchase. On the other hand, SaaS applications grow with your business. There’s no limit to the number of users, transactions, or plants that we can handle. In addition, your business can access additional layers of Dairy.com functionality as your company expands. In the past, sizable hardware investments and additional IT staff members were required to deploy a business-wide solution. 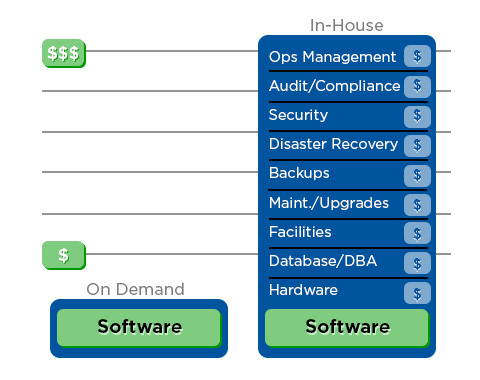 Not only are the up-front costs minimal for using Dairy.com, the total cost of ownership is significantly less than the ongoing staffing, hardware, and software licensing associated with traditional, installed software. SaaS applications have a distinct advantage over installed software when it comes to adoption and ease of use. Most users are already familiar with using applications on the Internet and will experience a reduced learning curve with Dairy.com solutions. Your Dairy.com information can be integrated with other back-office solutions. Some of our customers currently integrate SAP, for example, with Dairy.com to manage financial and operational information with increased efficiency and security. If your IT department is tasked with updating software, upgrading servers, and resetting forgotten passwords, they may be relieved to know that you’re considering Dairy.com. Your IT staff members are significant resources that can be re-deployed on other, more strategic tasks while leaving the hardware, software, and data backups to Dairy.com. When business solutions are based on the traditional client-server model, the initial investment and ongoing costs of software, hardware, and IT personnel can be substantial. Consider these potential expenses associated with licensing software instead of accessing it through a subscription-based SaaS environment. Need help deciding whether SaaS is right for you? Download our free SaaS Checklist.